Eric Stephenson (NOWHERE MEN, LONG HOT SUMMER), Eisner Award-nominated writer and Publisher at Image Comics, and artist Simon Gane (The Vinyl Underground, Paris), come together for a suspenseful modern horror story in THEY’RE NOT LIKE US, VOL. 1: BLACK HOLES FOR THE YOUNG. 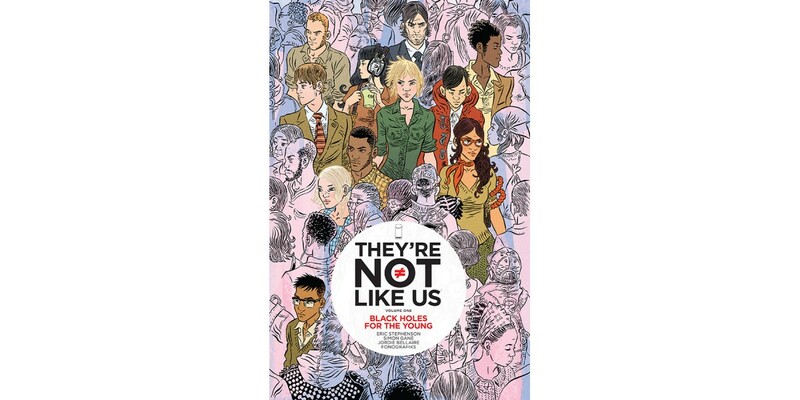 Paired with colors by the Eisner Award-winning colorist Jordie Bellaire and lettering and design by Fonografiks, THEY’RE NOT LIKE US is a creeping suspense story about a young woman named Syd with telepathic abilities and the unlikely new allies—and enemies—she makes as she learns how to cope with her powers. The first six issues will be collected into a trade paperback and made available this July. THEY’RE NOT LIKE US, VOL. 1 follows Syd after she’s saved by a group of adolescents with similarly special abilities, a group that is led by The Voice, a man with questionable motives, mysterious origins, and even more suspect morals. The more answers Syd seeks to glean from her new peers, the more secrets she uncovers—each one more unsettling than the last. THEY’RE NOT LIKE US, VOL. 1 (ISBN: 978-1-63215-314-2) hits comic book stores on July 8 and bookstores onJuly 21, and will be available for $9.99. It can be ordered by retailers from Diamond Book Distributors with Diamond Code MAY150507.